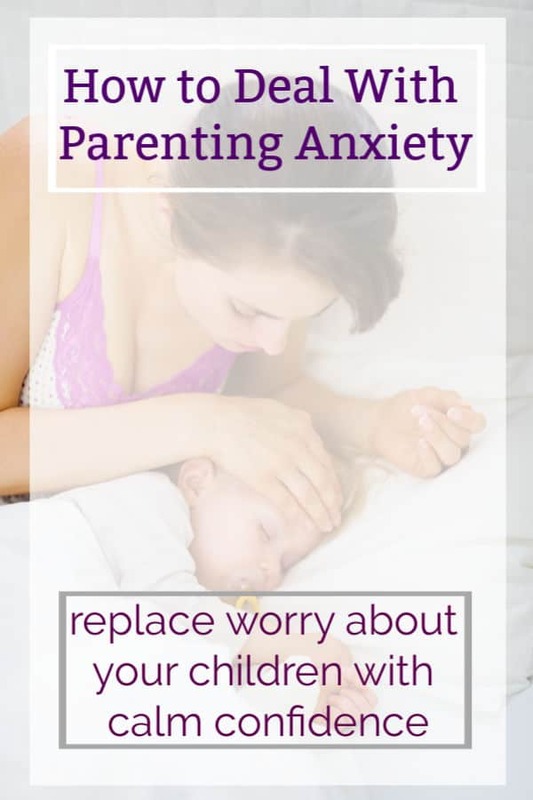 If you’re a parent chances are you’ve spent more than a little time worrying about your children. It’s normal and it’s healthy to be concerned about the safety and well-being of our children. We are given a great responsibility when we are blessed with children and those of us who take our responsibility seriously are likely to have some concerns about keeping our kids safe and healthy. The problem begins when we worry so much that we become anxious or we make decisions based solely on the emotion of fear. Fearful parenting clouds our judgment and leads us to parent in a way that may pass on our anxieties to our children. This type of parenting does not set up our children for success and it may actually cause them to lose their natural instincts for safety. Did you know we are all are born with innate safety instincts? It’s that “spidey-senses” feeling you get in a situation that lets you know something is not quite right. I believe mothers are gifted with a generous amount of this instinct and it enables them to properly care for their young. However, the media manipulates that instinct on a daily basis by presenting everything bad that’s happening in the world. It leaves many parents feeling as if the world is a horribly unsafe place for children. This leads us to both limit our own children and judge other parents’ decisions harshly. It’s a recipe for a scared world that may not actually be as scary as we think. When my children were younger I suffered from what I now realize was an abnormal amount of anxiety concerning their care. It was very difficult for me to trust anyone besides my husband or our mothers with my children. My youngest child was six before we used a babysitter for the first time. Recommended: Parenting Q & A: My Kids Fight All The Time. Help! In part, the media I consumed in the early 2000s was responsible for making me see danger everywhere. In addition, some of the moms I met on message boards were quick to point out all of the potential problems with various parenting choices. I often felt guilted into making decisions “just to be safe” and then suffering from a lack of self-care in order to be ever-present with my babies and toddlers to protect them from some imagined threat. Fortunately, I was eventually able to turn things around so I didn’t pass my anxieties on my children. As my children began to grow and want more independence I was forced to step back and quell my unfounded anxieties. This taught me to listen to my intuition more and to the fear-mongering voices less. Here are some of the things I did in order to practice fearless parenting. Teach your children what to do in case of emergency. Explain the difference between an emergency situation and a “kind of a big deal” situation. Explain the steps to take to remain safe in each type of situation. When you give children information about how potential emergencies are most likely to occur and what to do if an emergency happens you’ll help to lessen their anxiety, as well. In the past I curtailed my children’s freedom in some situations based solely on what I imagined other parents might think. Stories like this one make us think that other parents are watching us all the time and are ready to label us a bad parent if our standards differ from theirs, even if there is no real threat. If you’re the kind of parent who judges other parents on what you perceive to be unsafe parenting practices, please stop. We can do more good by helping to watch out for children who are unsupervised for whatever reason than we can by reporting these parents to the police and disrupting a family’s life. If you’re going to spend time wallowing in your anxiety, at least be able to provide proof that your anxieties are founded. Don’t just listen to the media’s account of stories. Research the facts. Figure out the statistics and you’ll see that the likelihood of dangerous situations you fear happening is slim. This practice starts before birth. If you are currently pregnant and wading through information concerning childbirth practices, vaccinations, co-sleeping and much more, do your research. Your research should rely on more than what you read on Facebook and catch on the evening news. Be aware and be prepared. Then relax. It’s really that simple. If you have prepared yourself and your (appropriately-aged) children by using the steps I’ve already listed, then there is no need to hover over them as they walk to a friend’s house, go to the park alone or stay home while you run to the store. If your eight-year-old is walking down the block to a friend’s house or your ten-year-old wants to go play at the neighborhood park, send them with a phone. You can check in with them, they can check in with you. It’s an important step toward empowerment and self-assurance and it will help to lessen your worries. When we traveled for soccer games with my oldest son, my younger sons liked to go to the sports complex playgrounds while I watched the game. Our deal is if the playground is more than a quick run from me or my sight of them is limited, they must go together (and often, bring a cell phone). If one child were to sustain an injury, the other child could come get me. In the unlikely event that they’re approached by a stranger, they can reinforce each other with the tools we’ve given them for dealing with strangers. The buddy system is great for restroom visits, as well. Here are some resources for arming yourself and your children so that you can be a fearless parent! Excellent reads that will arm you with the information you need to determine if a person or situation is safe. Learn more about our natural fear instincts and how to teach your children to utilize them. Must have books for your parenting library. Is Your Child Ready to be Left Alone? This checklist will help you decide. Find out why forcing your child to give Grandma a hug when he or she refuses is a bad idea. More information to help you and your children to be prepared and fearless.